Lap sealers overlap film on the bottom of the products. This technology is used for longer products. Film sealing is performed fast and result is of highest visual quality. 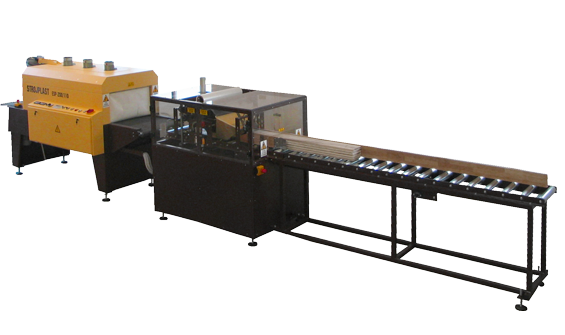 There is no waste film (film efficient packaging) and machine maintenance is easy compared to other automatic shrink wrapping machines.